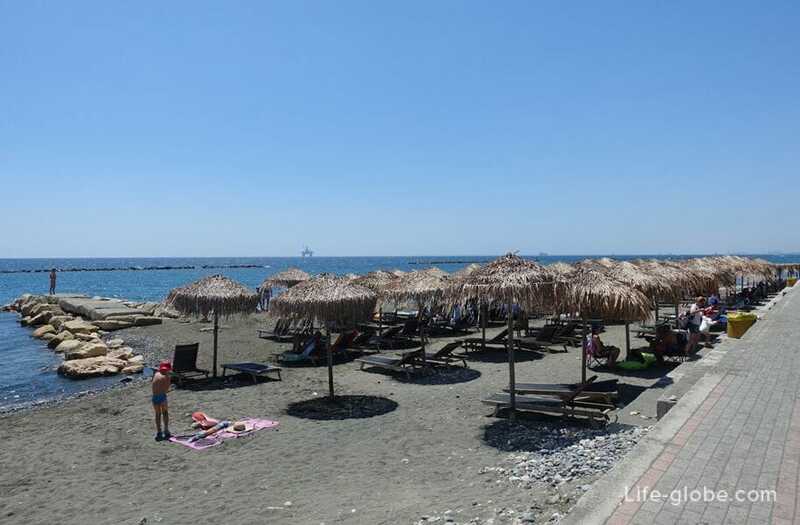 Castella Beach (Castella Municipal Beach, the Greek name Παραλία Καστέλλα) is one of the beaches of Lemesos (Limassol). 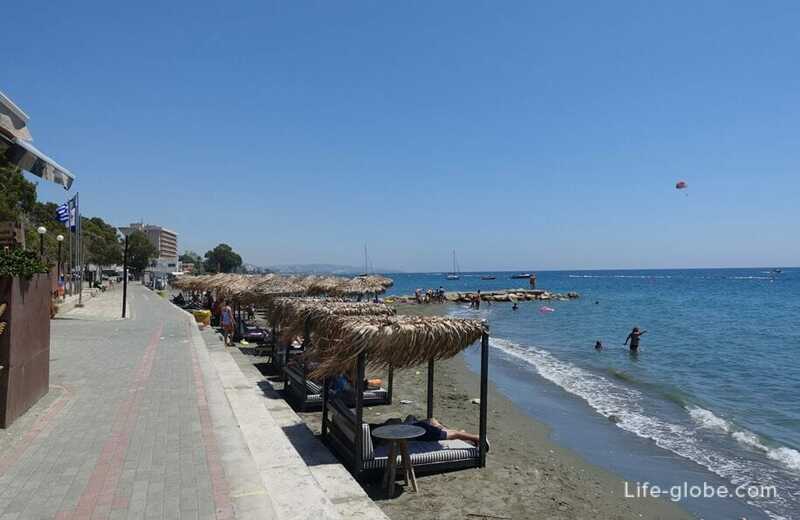 This beach is located in the municipality of Agios Tychonas, which is an Eastern suburb of Limassol, which is a famous seaside resort. 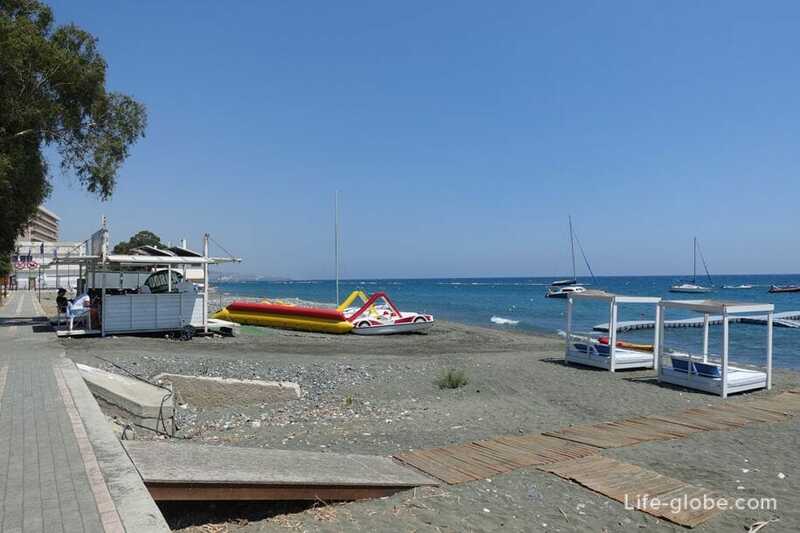 On the West side of the Castella beach is bordered by the coast of the municipality Mouttagiakia, East Onisilos beach, smoothly flowing into it. 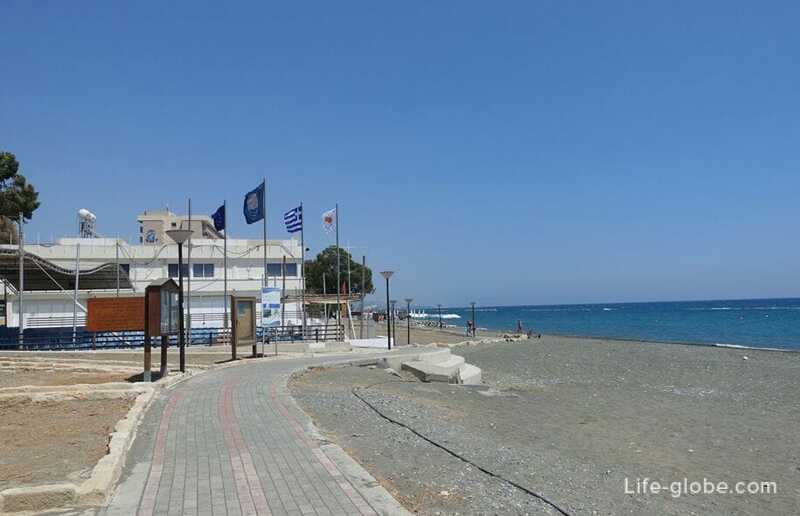 Onisilos beach is also part of the beach Agios Tychonas. Castella beach has been awarded the "Blue flag" - the signs of the purity and quality of beaches and seawater. 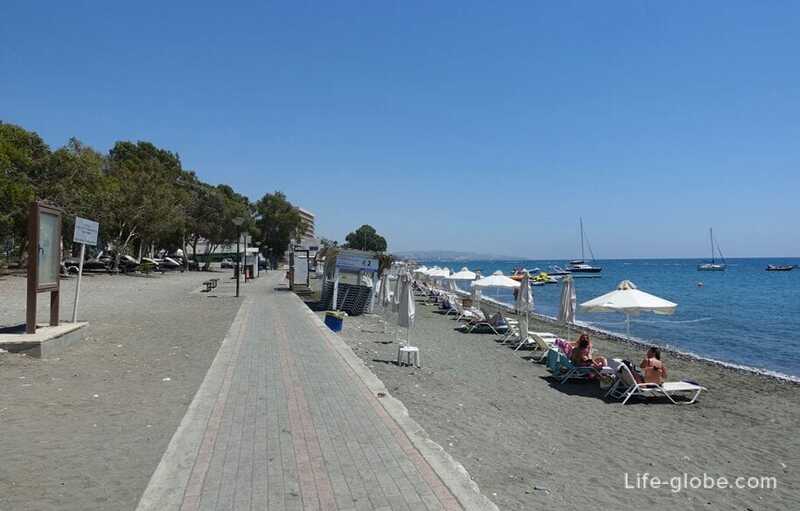 The length of the beach is just over 400 metres. 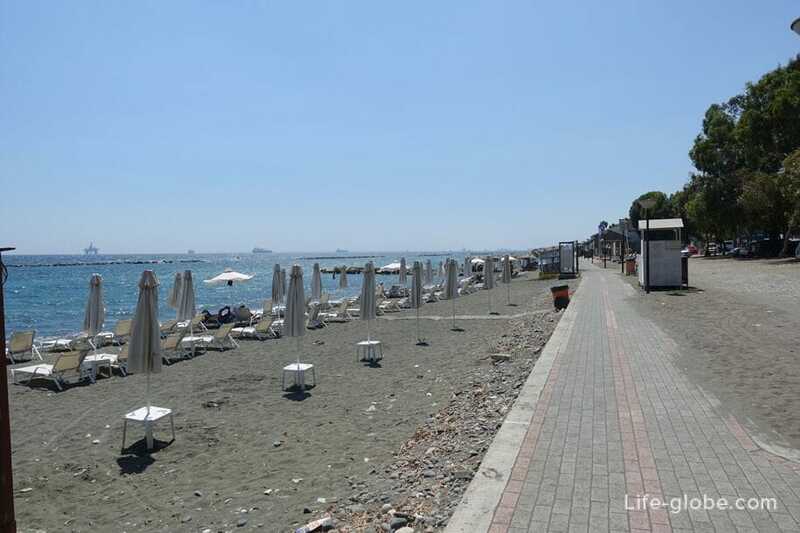 The beach strip is quite narrow, extends from West to East. 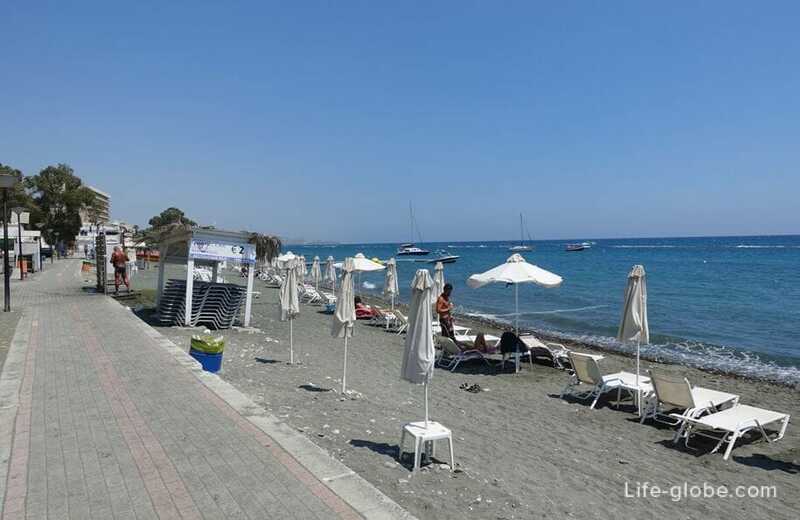 In the Western end of Castella beach mainly pebbles, while the East side is dark gray sand, sometimes mixed with small pebbles. 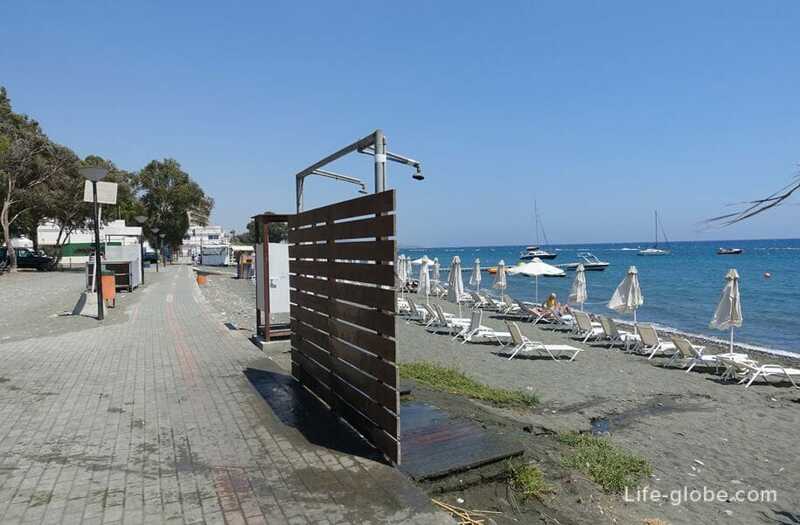 Municipal beach Castella offers a full range of services for a comfortable stay: sun beds and parasols, showers and toilets, tower rescue and wooden decks, locker rooms and boxes. On the beach a dedicated place for water sports, there is a small Playground. 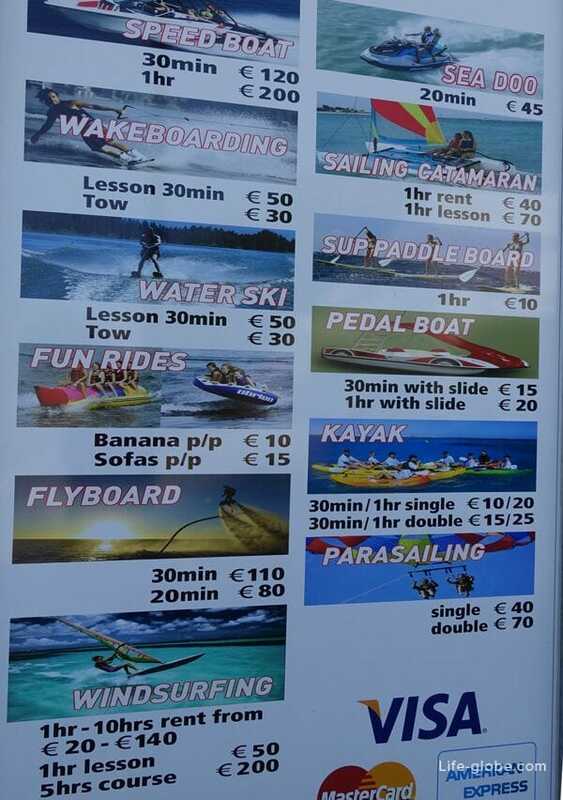 The cost of renting a sunbed and umbrella for 2 Euros. In the sea, on both sides of the beach groynes. The beach is clean and calm sea waters that lead into rather abruptly. In the second half of the day, sometimes the waves are coming. 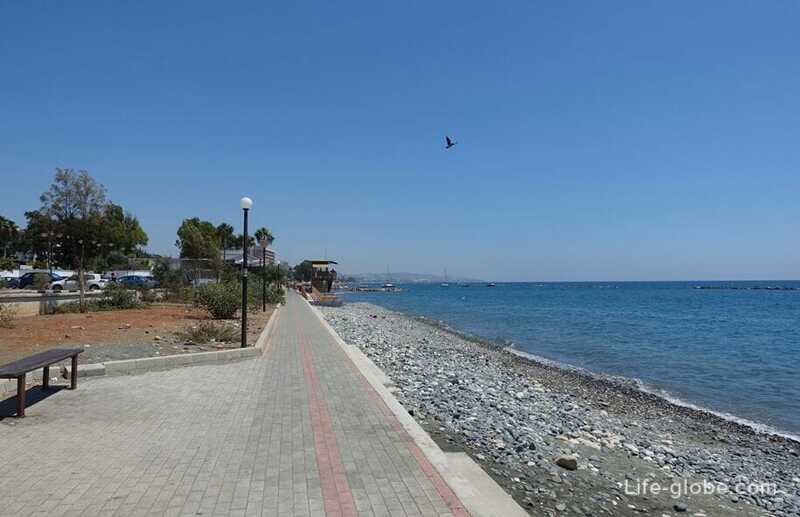 Along the beach is a seaside pedestrian road (trail), which runs along the coast of Agios Tychonas and the municipality Parekklisia (to the municipality of Pyrgos). 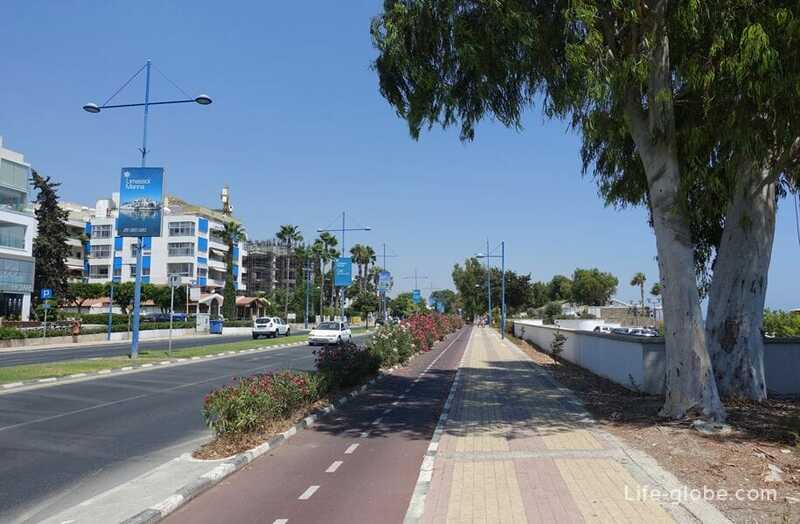 The length of the road is just over 5 kilometers away, it is possible to reach the ancient ruins of Amathus. 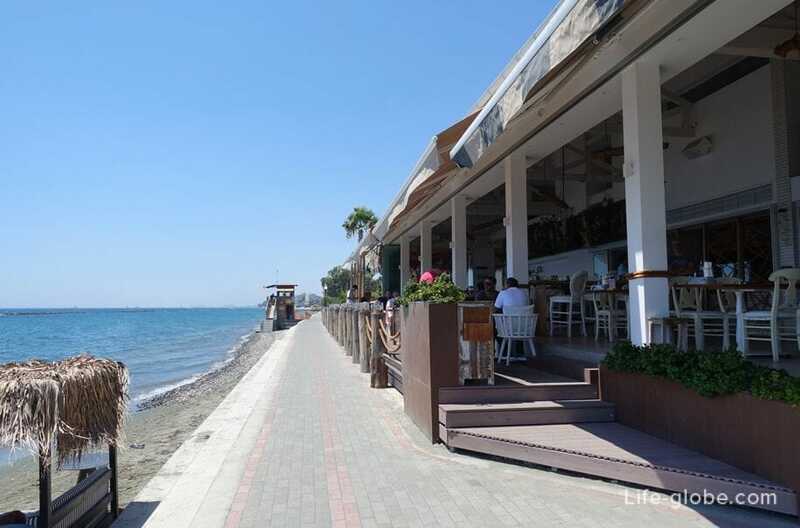 On Castella beach, along the beach trails, there is a cafe. 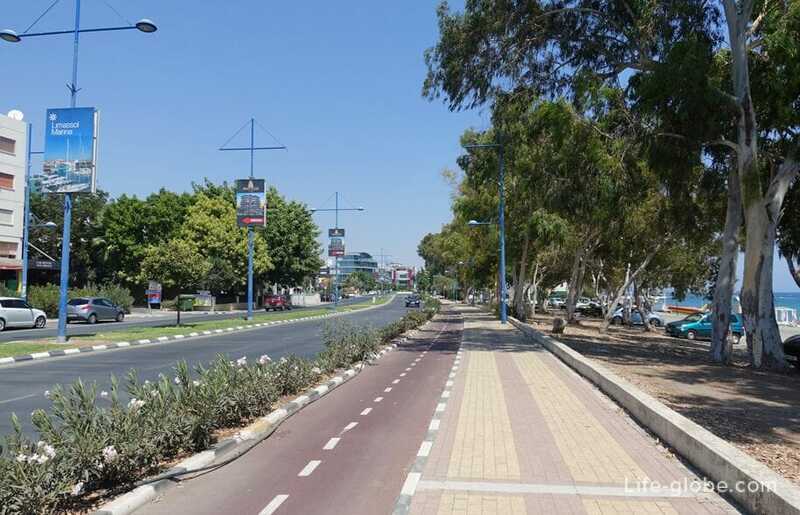 The above line of coast footpath and road (Amathountos), along which a bike path, cafes and restaurants, public transport plying in the centre of Limassol and next along the Eastern coast area of Limassol, has a bike rental service. The family-run Pigeon Beach. 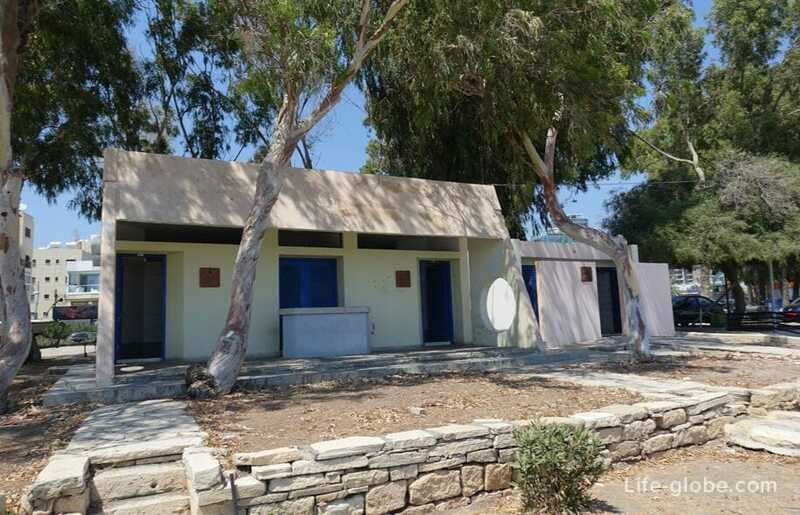 It offers 1 bedroom and a kitchenette, a seasonal swimming pool, a snack bar and a bar-restaurant. 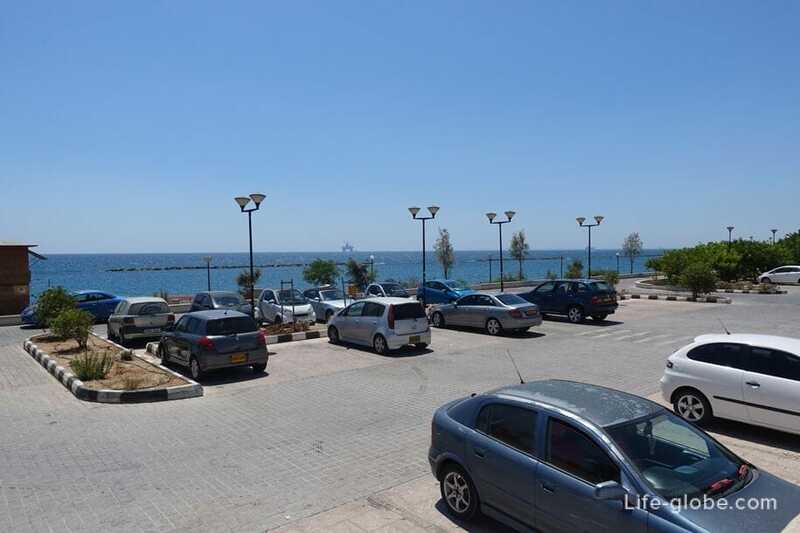 Panoramic views of the Mediterranean sea. 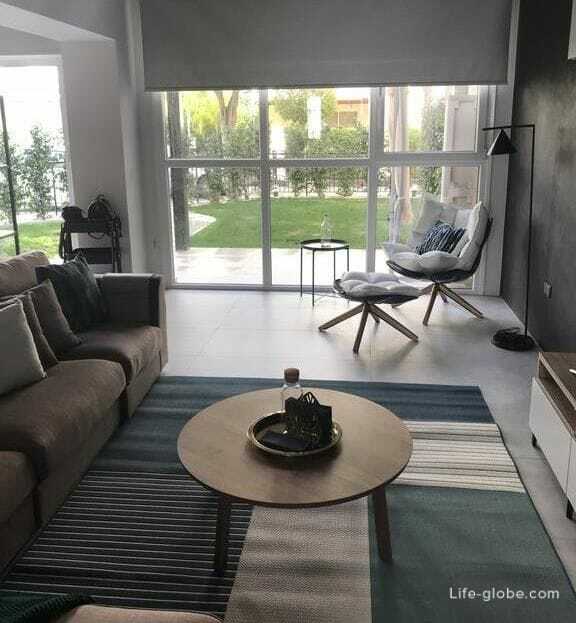 Duplex apartment Elite2 bed room Duplex in Galatex with free Wi-Fi, air conditioning and a patio. 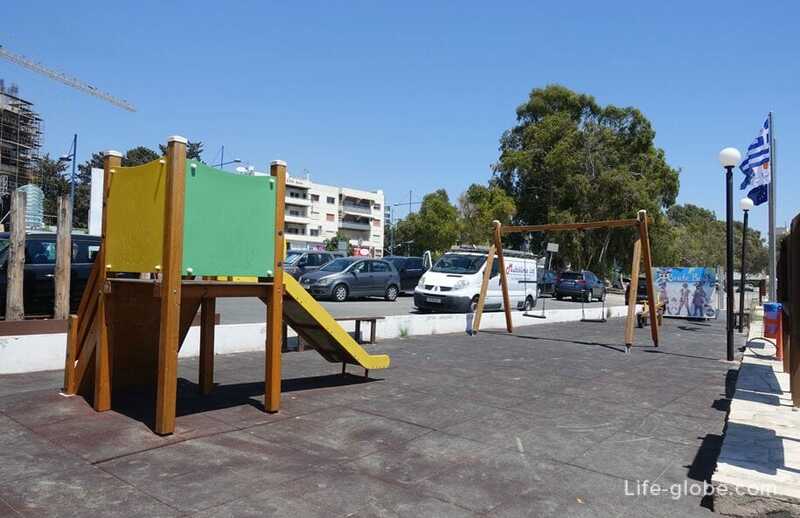 The apartments feature a flat-screen cable TV, 2 bedrooms, living room and kitchen with a dishwasher and an oven. 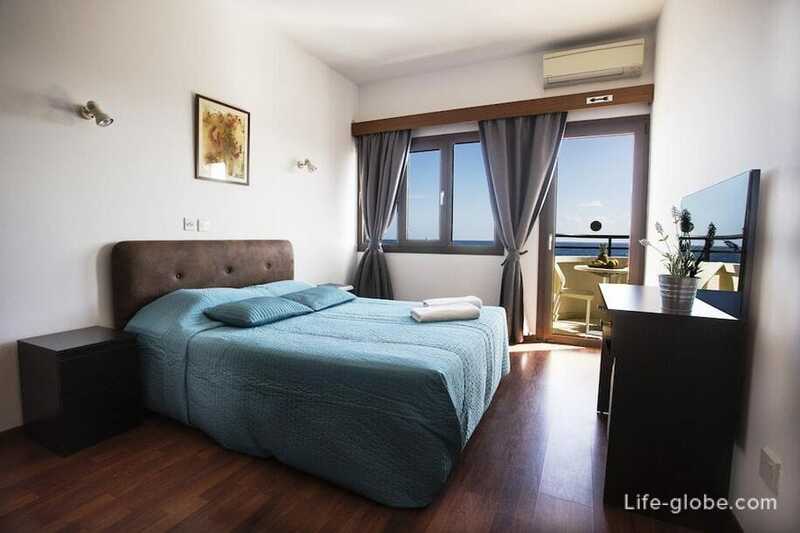 Marathon Deluxe apartments with air conditioning, an outdoor pool and free Wi-Fi. 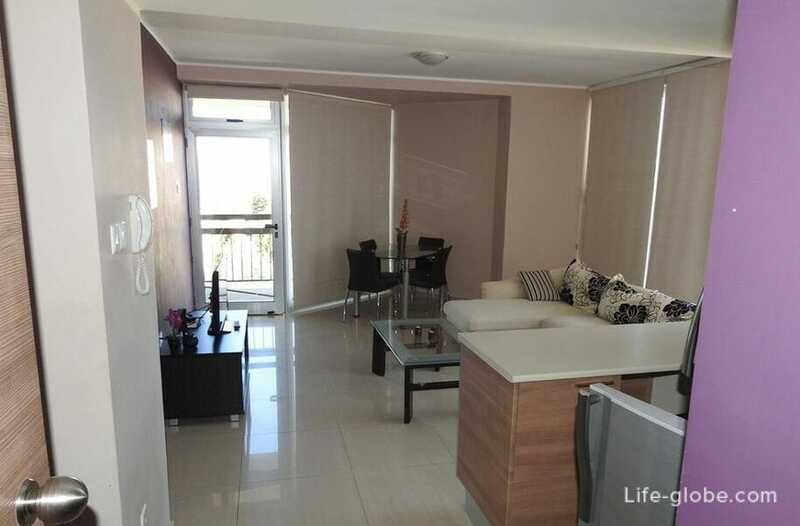 Featuring a balcony, 1 bedroom and a kitchen with an oven, a microwave and a kettle. Near the coastal strip are the Parking lot. 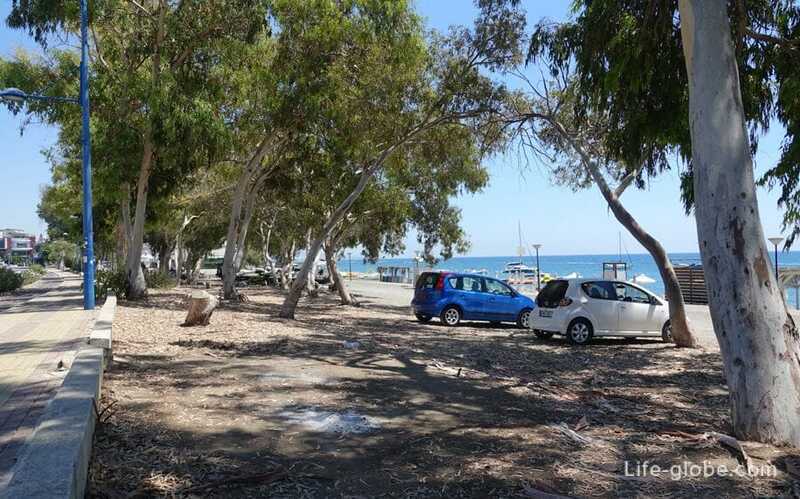 Distance from the historical centre of Limassol (old port, promenade of Molos and Limassol castle) to Castella beach is around 7 - 7.5 kilometers. 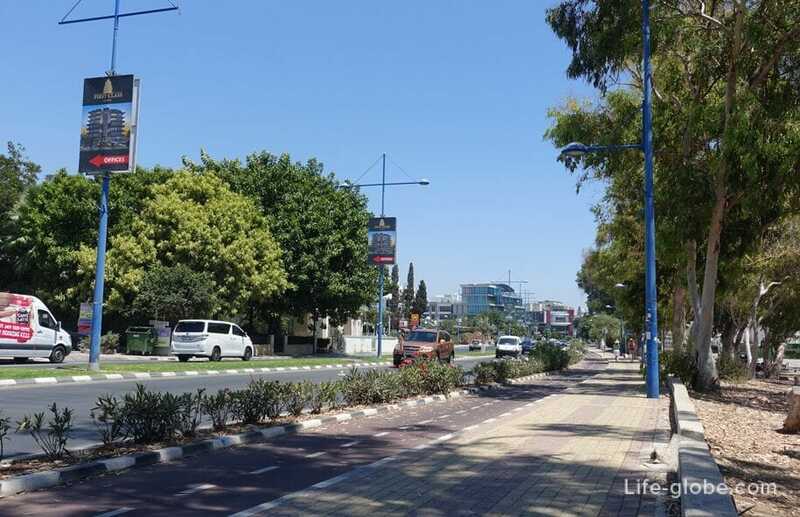 You can get on 30 bus linking the shopping center MY MALL Limassol with the municipality of Pyrgos. The fare is € 1.50. A day ticket is 5 Euro. There are also bus №№ 25, 33, 80, 95, 95A.